Minsk (Belarusian: Мінск, pronounced [mʲinsk]; Russian: Минск) is the capital and largest city of Belarus, situated on the Svislač and the Nyamiha Rivers. As the national capital, Minsk has a special administrative status in Belarus and is the administrative centre of Minsk Region (voblasć) and Minsk District (rajon). The population in January 2018 was 1,982,444, making Minsk the 11th most populous city in Europe. Minsk is the administrative capital of the Commonwealth of Independent States (CIS) and seat of its Executive Secretary. Clockwise from top left: Minsk City Hall, the Red Church, Railway Station Square, Independence Square, National Opera and Ballet Theatre and the Church of Sts. Peter and Paul. From 1569, it was a capital of the Minsk Voivodeship, in the Polish–Lithuanian Commonwealth. It was part of a region annexed by the Russian Empire in 1793, as a consequence of the Second Partition of Poland. From 1919 to 1991, after the Russian Revolution, Minsk was the capital of the Byelorussian Soviet Socialist Republic, in the Soviet Union. Minsk will host the 2019 European Games. The Saviour Church, built under the Polish–Lithuanian Commonwealth in 1577, is part of an archaeological preservation in Zaslavl, 23 km (14 mi) northwest of Minsk. The area of today's Minsk was settled by the Early East Slavs by the 9th century AD. The Svislach River valley was the settlement boundary between two Early East Slav tribes – the Krivichs and Dregovichs. By 980, the area was incorporated into the early medieval Principality of Polotsk, one of the earliest East Slav principalities of Old Rus' state. Minsk was first mentioned in the name form Měneskъ (Мѣнескъ) in the Primary Chronicle for the year 1067 in association with the Battle on the River Nemiga. 1067 is now widely accepted as the founding year of Minsk. City authorities consider the date of 3 March 1067, to be the exact founding date of the city, though the town (by then fortified by wooden walls) had certainly existed for some time by then. The origin of the name is unknown but there are several theories. Minsk was annexed by Russia in 1793 as a consequence of the Second Partition of Poland. In 1796, it became the centre of the Minsk Governorate. All of the initial street names were replaced by Russian names, though the spelling of the city's name remained unchanged. It was briefly occupied by the Grande Armée during French invasion of Russia in 1812. War memorial in Victory Square, Minsk. Before the Second World War, Minsk had a population of 300,000 people. After Germany invaded the Soviet Union on 22 June 1941, as part of Operation Barbarossa, Minsk immediately came under attack. The city was bombed on the first day of the invasion and came under Wehrmacht control four days later. However, some factories, museums and tens of thousands of civilians had been evacuated to the east. 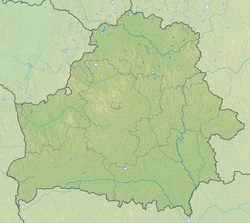 The Germans designated Minsk the administrative centre of Reichskomissariat Ostland. Communists and sympathisers were killed or imprisoned, both locally and after being transported to Germany. Homes were requisitioned to house invading German forces. Thousands starved as food was seized by the German Army and paid work was scarce. Minsk was the site of one of the largest Nazi-run ghettos in the Second World War, temporarily housing over 100,000 Jews (see Minsk Ghetto). Some anti-Soviet residents of Minsk, who hoped that Belarus could regain independence, did support the Germans, especially at the beginning of the occupation, but by 1942, Minsk had become a major centre of the Soviet partisan resistance movement against the invasion, in what is known as the German-Soviet War. For this role, Minsk was awarded the title Hero City in 1974. Minsk was recaptured by Soviet troops on 3 July 1944, during Operation Bagration. The city was the centre of German resistance to the Soviet advance and saw heavy fighting during the first half of 1944. Factories, municipal buildings, power stations, bridges, most roads and 80% of the houses were reduced to rubble. In 1944, Minsk's population was reduced to a mere 50,000. After the Second World War, Minsk was rebuilt, but not reconstructed. The historical centre was replaced in the 1940s and 1950s by Stalinist architecture, which favoured grand buildings, broad avenues and wide squares. Subsequently, the city grew rapidly as a result of massive industrialisation. Since the 1960s Minsk's population has also grown apace, reaching 1 million in 1972 and 1.5 million in 1986. Construction of Minsk Metro began on 16 June 1977, and the system was opened to the public on 30 June 1984, becoming the ninth metro system in the Soviet Union. The rapid population growth was primarily driven by mass migration of young, unskilled workers from rural areas of Belarus, as well as by migration of skilled workers from other parts of the Soviet Union. To house the expanding population, Minsk spread beyond its historical boundaries. Its surrounding villages were absorbed and rebuilt as mikroraions, districts of high-density apartment housing. Throughout the 1990s, after the fall of Communism, the city continued to change. As the capital of a newly independent country, Minsk quickly acquired the attributes of a major city. 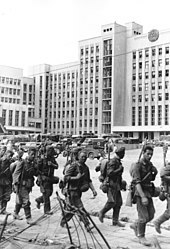 Embassies were opened, and a number of Soviet administrative buildings became government centres. During the early and mid-1990s, Minsk was hit by an economic crisis and many development projects were halted, resulting in high unemployment and underemployment. Since the late 1990s, there have been improvements in transport and infrastructure, and a housing boom has been underway since 2002. On the outskirts of Minsk, new mikroraions of residential development have been built. Metro lines have been extended, and the road system (including the Minsk BeltWay) has been improved. In the recent years Minsk has been continuously decentralizing, and with a third line of Minsk Metro set to open in 2020, the city is expected to change even further. More development is planned for several areas outside the city centre, while the future of the older neighborhoods is still unclear. 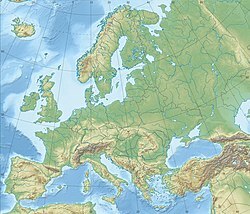 Minsk has a warm summer humid continental climate (Köppen Dfb), owing to its location between the strong influence of the moist air of the Atlantic Ocean and the dry air of the Eurasian landmass. Its weather is unstable and tends to change relatively often. The average January temperature is −4.5 °C (23.9 °F), while the average July temperature is 18.5 °C (65.3 °F). The lowest temperature was recorded on 17 January 1940, at −40 °C (−40 °F) and the warmest on 29 July 1936 at 35 °C (95 °F), and on 3 August 2014 at 35 °C (95 °F). There are frequent fogs, common in the autumn and spring. Minsk receives annual precipitation of 690 millimetres (27 in), of which one third falls during the cold period (as snow and rain) and two thirds in the warm period. Throughout the year, most winds are westerly and northwesterly, bringing cool and moist air from the Atlantic. Similar climatic regimes are found in Stockholm, Sweden and in Halifax, Canada. The ecological situation is monitored by Republican Centre of Radioactive and Environmental Control. During its first centuries, Minsk was a city with a predominantly Early East Slavic population (the forefathers of modern-day Belarusians). After the 1569 Polish–Lithuanian union, the city became a destination for migrating Poles (who worked as administrators, clergy, teachers and soldiers) and Jews (Ashkenazim, who worked in the retail trade and as craftsmen, as other opportunities were prohibited by discrimination laws). During the last centuries of the Polish–Lithuanian Commonwealth, many Minsk residents became polonised, adopting the language of the dominant Poles and assimilating to its culture. Between the 1880s and 1930s many Jews, as well as peasants from other backgrounds, emigrated from the city to the United States as part of a Belarusian diaspora. According to the 1999 census, Belarusians make up 79.3% of the city's residents. Other ethnic groups include Russians (15.7%), Ukrainians (2.4%), Poles (1.1%) and Jews (0.6%). The Russian and Ukrainian populations of Minsk peaked in the late 1980s (at 325,000 and 55,000 respectively). After the break-up of the Soviet Union and increased nationalism in Belarus creating hostility to ethnic Russians and Ukrainians, many of them chose to move to their respective mother countries, although some families had been in Minsk for generations. Another factor in the shifting demographics of the city was the changing self-identification of Minsk residents of mixed ancestry in independent Belarus they identify as Belarusians. The Jewish population of Minsk peaked in the early 1970s at 50,000 according to official figures; independent estimates put the figure at between 100,000 and 120,000. Beginning in the 1980s, there has been mass-scale emigration to Israel, the US, and Germany. Today only about 10,000 Jews live in Minsk. The traditional minorities of Poles and Tatars have remained at much the same size (17,000 and 3,000 respectively). Rural Poles have migrated from the western part of Belarus to Minsk, and many Tatars have moved to Minsk from Tatarstan. As of 2006, there are approximately 30 religious communities of various denominations in Minsk. The SIZO-1 detention center, IK-1 general prison, and the KGB special jail called "Amerikanka" are all located in Minsk. Alexander Lukashenko's rivals in the 2010 presidential election were imprisoned in the KGB jail along with other prominent politicians and civil activists. Ales Michalevic, who was kept in this jail, accused the KGB of using torture. In 2011 official statistics quote unemployment in Minsk at 0.3%. During the 2009 census 5.6% of Minsk residents of employable age called themselves unemployed. The government discourages official unemployment registration with tiny unemployment benefits (70 000 BYR ≈ $7 per month) and obligatory public works. Minsk hosted the 2014 IIHF World Championship at the Botvinik Arena. In January 2016, the 2016 European Speed Skating Championships were held in the Minsk Arena. Minsk Arena is the only indoor speed skating rink in Belarus. On 21 October 2016, it was confirmed by the European Olympic Committee that Minsk will host the 2019 European Games. The 2019 European Figure Skating Championships were held in the Minsk Arena from the 21st to the 27th of January. Minsk has an extensive public transport system. Passengers are served by 8 tramway lines, over 70 trolleybus lines, 2 subway lines and over 100 bus lines. Trams were the first public transport used in Minsk (since 1892 – the horse-tram, and since 1929 – the electric tram). Public buses have been used in Minsk since 1924, and trolleybuses since 1952. Public transport fares are controlled by city's executive committee (city council). Single trip ticket for bus, trolleybus or tramway costs 0.6 BYN (≈ USD 0.3), 0.65 BYN for metro and 0.75 BYN for express buses. Monthly ticket for one kind of transport costs 27 BYN and 49 BYN for all four. Commercial marshrutka's prices varies from 1.5 to 2 BYN. Partyzanskaja station in the Minsk Metro. Minsk is the only city in Belarus with an underground metro system. Construction of the metro began in 1977, soon after the city reached over a million people, and the first line with 8 stations was opened in 1984. Since then it has expanded into two lines: Maskoŭskaja and Aŭtazavodskaja, which are 18.1 and 17.3 km (11.2 and 10.7 mi) long with 14 and 14 stations, respectively. On 7 November 2012, three new stations on the Moskovskaya Line were opened; work continues on a 1.8 km (1.1 mi) extension, with one more station slated to open in 2014. As of 2013[update] Minsk metro had 28 stations and 35.5 kilometres (22 miles) of tracks. Trains use 243 standard Russian metro-cars. On a typical day Minsk metro is used by 800,000 passengers. In 2007 ridership of Minsk metro was 262.1 million passengers, in 2017 ridership of Minsk metro was 284,1 million passengers, making it the 5th busiest metro network in the former USSR (behind Moscow, St. Petersburg, Kiev and Kharkiv). During peak hours trains run each 2–2.5 minutes. The metro network employs 3,200 staff. Minsk is the largest transport hub in Belarus. Minsk is located at the junction of the Warsaw-Moscow railway (built in 1871) running from the southwest to the northeast of the city and the Liepaja-Romny railway (built in 1873) running from the northwest to the south. The first railway connects Russia with Poland and Germany; the second connects Ukraine with Lithuania and Latvia. They cross at the Minsk-Pasažyrski railway station, the main railway station of Minsk. The station was built in 1873 as Vilenski vakzal. The initial wooden building was demolished in 1890 and rebuilt in stone. During World War II the Minsk railway station was completely destroyed. It was rebuilt in 1945 and 1946 and served until 1991. The new building of the Minsk-Pasažyrski railway station was built during 1991–2002. Its construction was delayed due to financial difficulties; now, however, Minsk boasts one of the most modern and up-to-date railway stations in the CIS. There are plans to move all suburban rail traffic from Minsk-Pasažyrski to the smaller stations, Minsk- Uschodni (East), Minsk-Paŭdniovy (South) and Minsk-Paŭnočny (North), by 2020. Minsk Borovaya Airfield (UMMB) is situated in a suburb north-east of the city, next to Zaliony Luh Forest Park, housing Aero Club Minsk and Minsk Aviation Museum. It has about 451 kindergartens, 241 schools, 22 further education colleges, and 29 higher education institutions, including 12 major national universities. Belarusian State University. Major Belarusian universal university, founded in 1921. In 2006 had 15 major departments (Applied Mathematics and Informatics; Biology; Chemistry; Geography; Economics; International Relations; Journalism; History; Humanitarian Sciences; Law; Mechanics and Mathematics; Philology; Philosophy and Social Sciences; Physics; Radiophysics and Electronics). It also included 5 R&D institutes, 24 Research Centres, 114 R&D laboratories. The University employs over 2,400 lecturers and 1,000 research fellows; 1,900 of these hold PhD or Dr. Sc. degrees. There are 16,000 undergraduate students at the university, as well as over 700 PhD students. In 2018 Olga Chupris was the first female Vice-Rector appointed to the institution (Academic Work and Educational Innovations). International Sakharov Environmental Institute. Specialised in environmental sciences. Established in 1992 with the support from the United Nations. Focus on study and research of radio-ecological consequences of the Chernobyl nuclear power station disaster in 1986, which heavily affected Belarus. Olga Chupris, first female Vice Rector of the Belarusian State University. ^ a b "Численность населения на 1 января 2018 г. и среднегодовая численность населения за 2017 год по Республике Беларусь в разрезе областей, районов, городов и поселков городского типа" (in Russian). National Statistical Committee of the Republic of Belarus. 29 March 2018. ^ "Eternal Daylight Saving Time (DST) in Belarus". timeanddate.com. 19 September 2011. Retrieved 30 October 2014. ^ "Въ лЂто 6563  – [6579 1071]. Іпатіївський літопис". Litopys.org.ua. Retrieved 5 May 2009. ^ "The Celebration of the 940th anniversary of Minsk will start with ringing of bells – Minsk City Executive Committee". Minsk.gov.by. Archived from the original on 15 June 2008. Retrieved 5 May 2009. ^ Robert I. Frost. After the Deluge: Poland-Lithuania and the Second Northern War, 1655–1660. Cambridge University Press. 2004. p. 48. ^ "History". Belarusian Tour operator. 29 October 2013. Archived from the original on 3 November 2013. Retrieved 29 October 2013. ^ Marples, David R. (1 November 2016). "The "Minsk Phenomenon:" demographic development in the Republic of Belarus". Nationalities Papers. 44 (6): 919–931. doi:10.1080/00905992.2016.1218451. ISSN 0090-5992. ^ "Минск-2030: где будут новые жилые центры города". Retrieved 11 November 2017. ^ "Weather and Climate- The Climate of Minsk" (in Russian). Weather and Climate (Погода и климат). Retrieved 28 November 2015. ^ a b c d e f Не сосновый бор, но дышать можно смело (in Russian). naviny.by. 18 September 2009. ^ Минская ГАИ проводит акцию "Чистый воздух" (in Russian). naviny.by. 9 June 2007. ^ "Самый загрязненный воздух в Минске — на улице Тимирязева" [The most polluted air in Minsk is on Timiryazev Street] (in Russian). naviny.by. 3 June 2009. ^ Östlund, Anders (13 July 2013). "LANGUAGES". Archived from the original on 3 November 2013. Retrieved 29 October 2013. ^ a b c Лукашенко недоволен минскими властями (in Russian). TUT.BY. 29 June 2010. ^ "Уровень преступности в Минской области – один из самых высоких в стране" (in Russian). TUT.BY. 25 January 2011. ^ Кражи составляют в Минске около 70% преступлений (in Russian). TUT.BY. 18 April 2011. ^ Генпрокуратура анализирует состояние с преступностью в Беларуси по коэффициенту преступности (in Russian). interfax.by. 2 October 2008. Archived from the original on 26 August 2011. ^ "В Минске увеличивается число выявленных коррупционных преступлений – Генпрокуратура" (in Russian). interfax.by. 10 March 2010. Archived from the original on 26 August 2011. ^ Я из ЖЭСа. Разрешите вас обокрасть! (in Russian). interfax.by. 2 January 2009. ^ "В Минске снижается число хищений сотовых телефонов – Генпрокуратура" (in Russian). interfax.by. 27 October 2009. Archived from the original on 2 November 2013. ^ "Четвертую часть поступлений в бюджет Минска обеспечили 5 плательщиков" [The fourth part of receipts in the budget of Minsk was provided by 5 payers]. afn.by (in Russian). ^ "73,7 % поступлений в консолидированный бюджет города Минска за 10 месяцев 2013 года обеспечено негосударственным сектором экономики. – Новости инспекции – Министерство по налогам и сборам Республики Беларусь". nalog.gov.by. ^ "Public transport in Minsk". D-Minsk. 4 October 2012. Retrieved 4 October 2012. ^ "CIS Metro Statistics". Mrl.ucsb.edu. 21 June 2010. Retrieved 4 July 2010. ^ "Метро сегодня". metropoliten.b. 2018. ^ "комитет по образованию Мингорисполкома" [Committee of Education (Minsk City Executive Committee)] (in Russian). Retrieved 23 July 2018. ^ "Управление высшего образования" [the management of higher education] (in Russian). Ministry of education of the Republic of Belarus. Retrieved 23 July 2018. ^ Dictionary of Minor Planet Names – p.248. Books.google.com. Retrieved 4 July 2010. ^ a b c d e f g h i j k l m n o p q r s "Twin towns of Minsk". Minsk City Executive Committee. Retrieved 21 July 2013. ^ "European networks and city partnerships". Nottingham City Council. 22 June 2012. Archived from the original on 25 June 2012. ^ "Mayor's International Council Sister Cities Program". Belo Horizonte, Minas Gerais. Archived from the original on 23 December 2007. Retrieved 18 August 2008. ^ "City Twinnings and Project Partnerships". Bonn.de. 23 June 2008. Archived from the original on 10 April 2013. Retrieved 13 August 2010. ^ "Regions: Dushanbe & Surroundings". Official Website of the Tourism Authority of Tajikistan. Committee of Youth Affairs, Sports and Tourism. Archived from the original on 22 November 2012. Retrieved 10 May 2013. ^ "CÁC ĐỊA PHƯƠNG NƯỚC NGOÀI ĐÃ THIẾT LẬP QUAN HỆ HỮU NGHỊ HỢP TÁC VỚI TPHCM". www.mofahcm.gov.vn. 9 October 2010. Retrieved 8 January 2011. Thomas M. Bohn: Minsk – Musterstadt des Sozialismus. Stadtplanung und Urbanisierung in der Sowjetunion nach 1945. Böhlau, Köln 2008, ISBN 978-3-412-20071-8 Бон, Т.М. «Минский феномен». Городское планирование и урбанизация в Советском Союзе после Второй мировой войны / Томас М. Бон ; [пер. Е. Слепович]. — Москва : РОССПЭН, 2013. — 416 с. Бон, Т.М. «Мінскі феномен». Гарадское планаванне і ўрбанізацыя ў Савецкім Саюзе пасля 1945 г. / Томас М. Бон ; пер. з ням. мовы М. Рытаровіч ; навук. рэд. Г. Сагановіч. — Мінск : Зміцер Колас, 2016. — 436 с.
Nechepurenko, Ivan (October 5, 2017). "How Europes Last Dictatorship Became a Tech Hub". The New York Times. ISSN 0362-4331.